Less than two hours from London! Originally a 12th century Cistercian abbey nestling in England's historic heartland, Coombe Abbey has been restored to its former glory and combines a taste of history with a sense of luxury. Set within 500 acres of breathtaking parkland, it is the perfect backdrop for all occasions. We invite you to experience Coombe Abbey Hotel, a unique and inspirational venue; perfect for conference venue, corporate seminars, an impressive venue for celebrations, dining and leisure breaks to enable you to discover the Midlands of England. The abbey has a total of 119 rooms; every room is filled with historical artefacts and special touches, and the experience offered is certainly out-of-the-ordinary. Drift off in a four-poster bed, soak in a traditional Victorian bath tub and wake up to views of the stunning Warwickshire countryside. With centuries of incredible history behind it, Coombe Abbey Hotel offers a the perfect setting for an atmospheric evening of dining and entertainment in Coventry, Warwickshire. 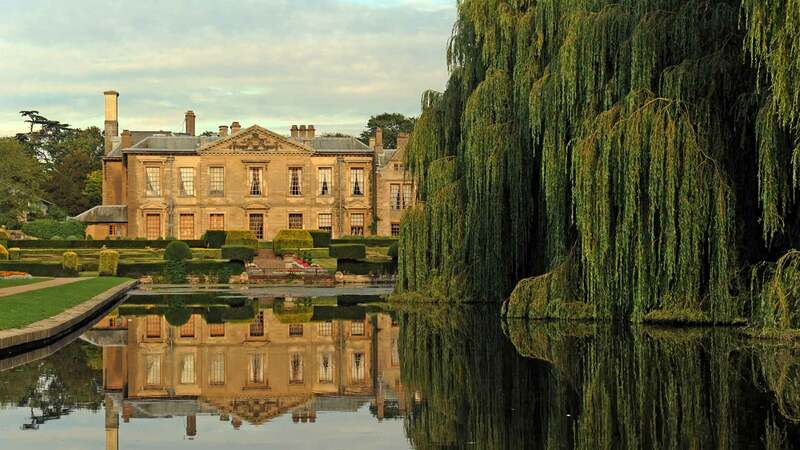 We invite you to explored Coombe Abbey’s 500 acres of parkland, a truly unique setting. "Wonderful! Absolutely beautiful. Perfect for the holidays. The staff were superior, the food was wonderful and I would recommend this to anyone who enjoys a historic location with 5 star level service and staff."